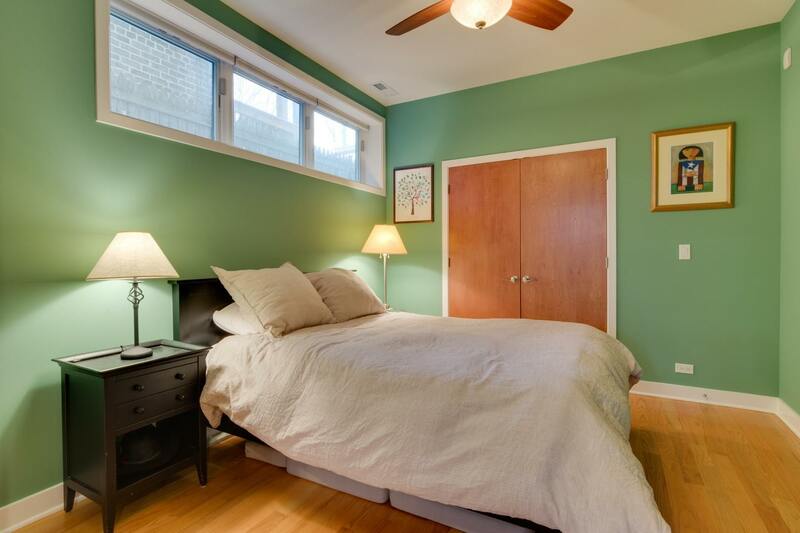 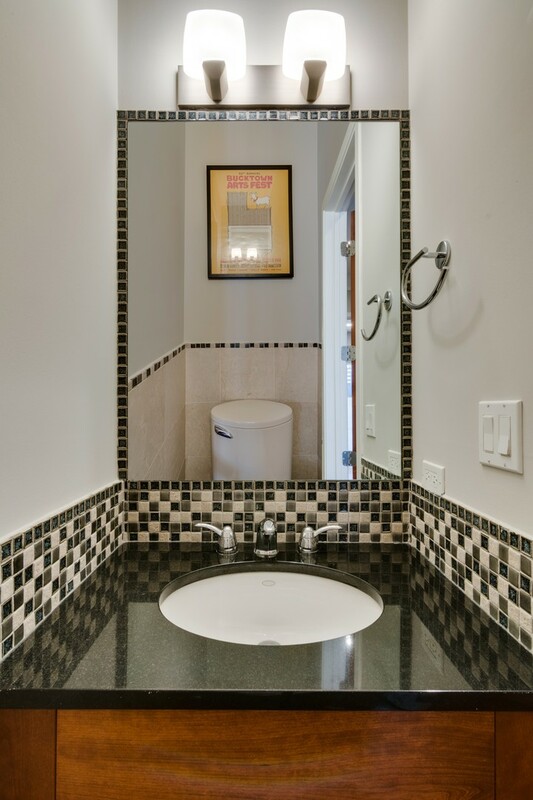 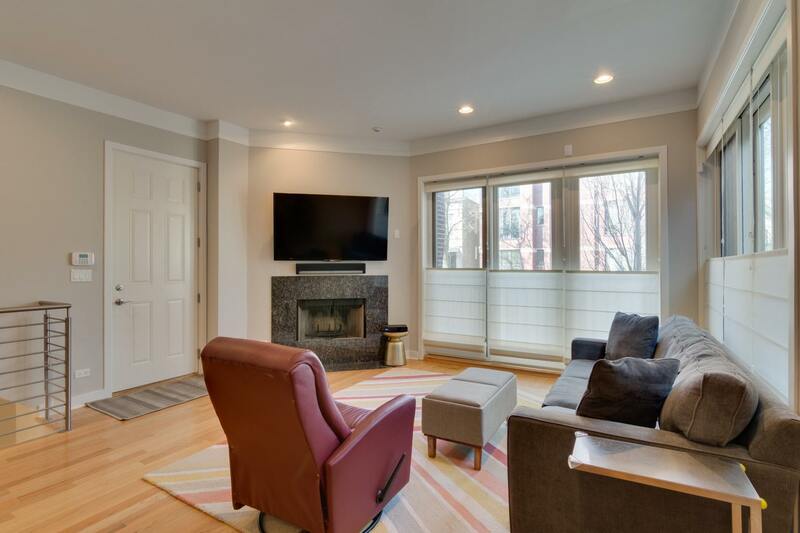 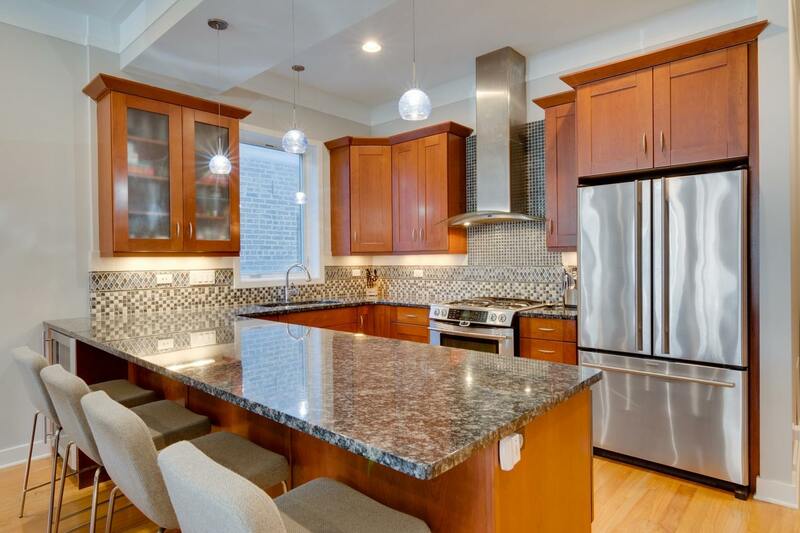 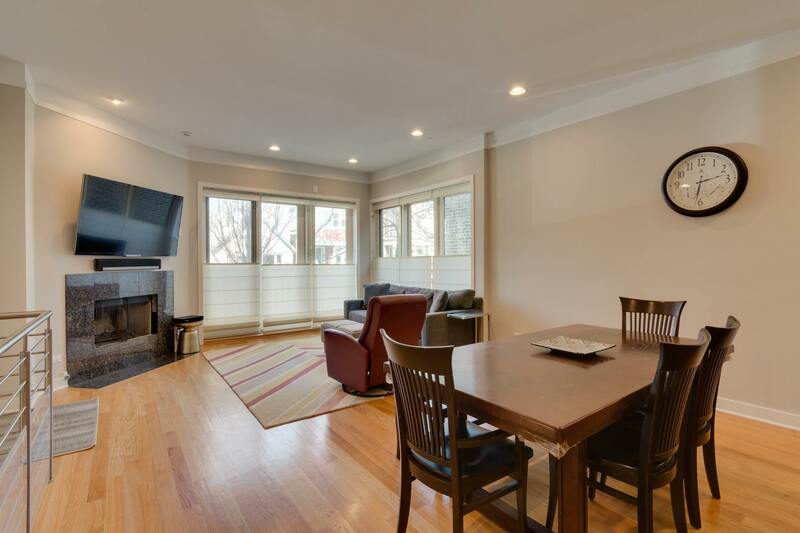 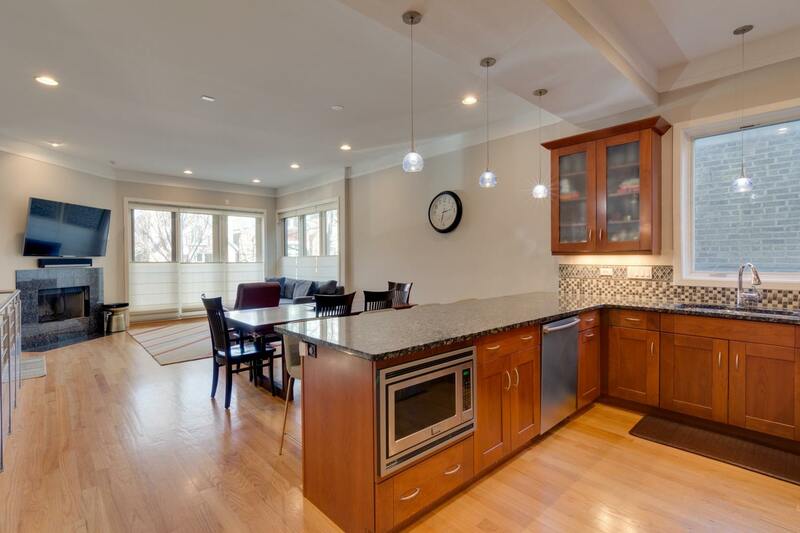 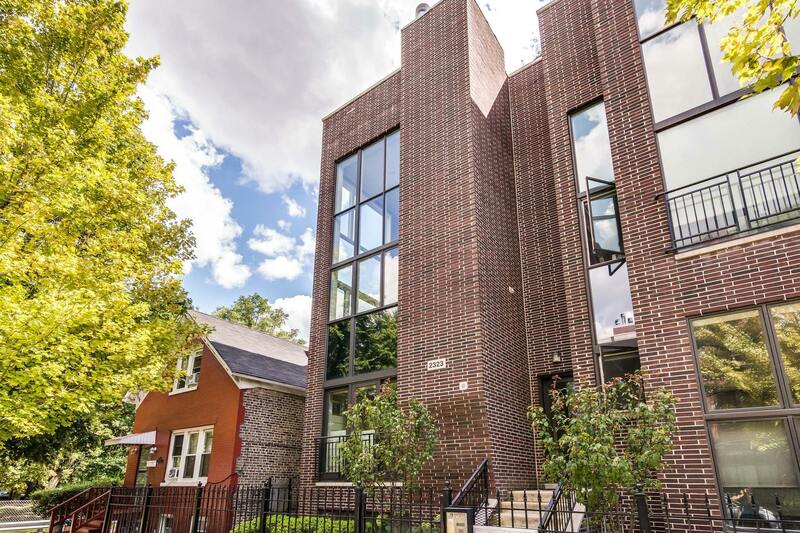 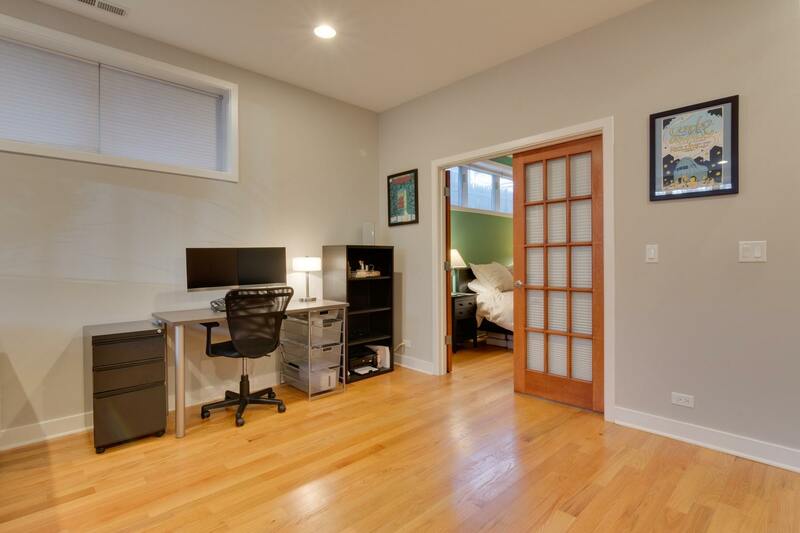 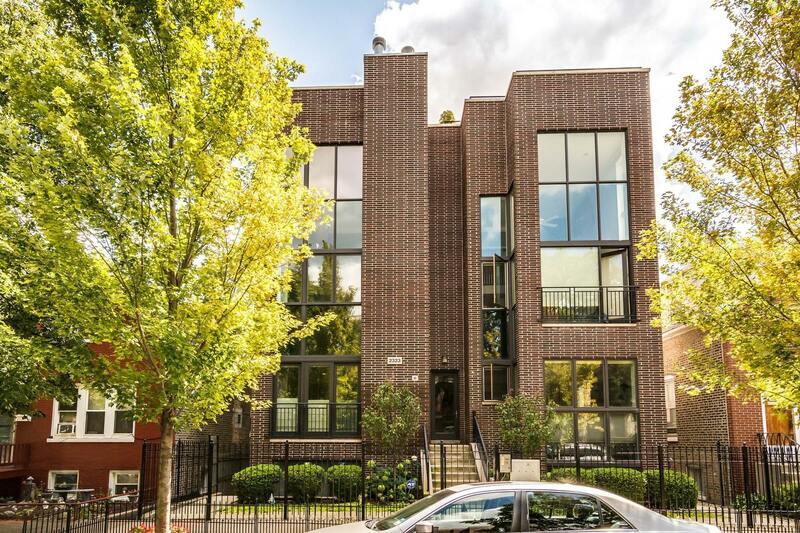 Spectacular Bucktown duplex in Primo Holstein Park location. 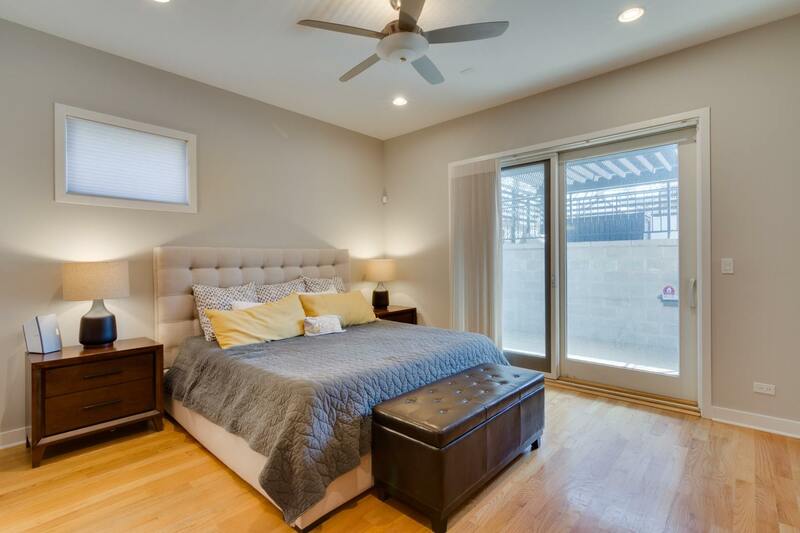 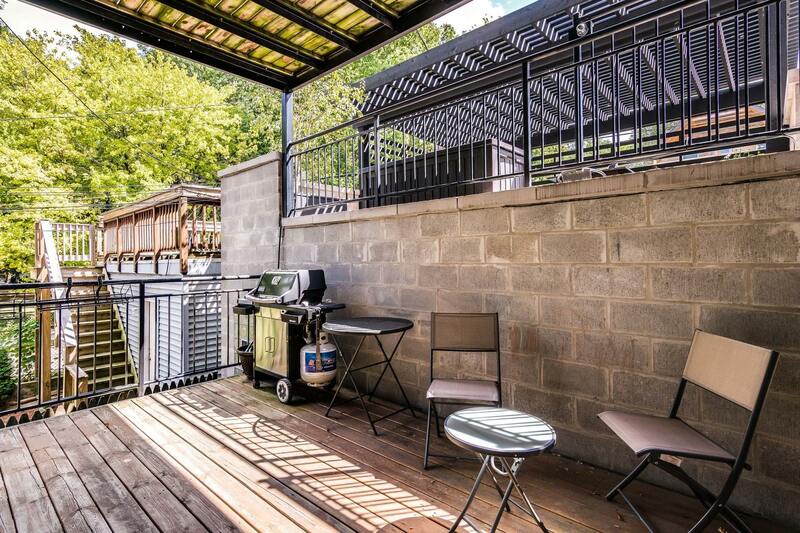 This spacious 3 bedroom 2 1/2 bath unit offers a fantastic layout. 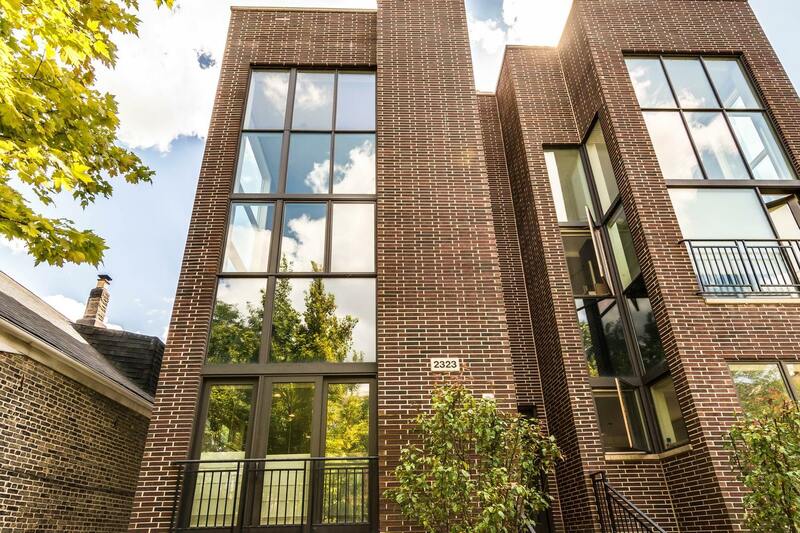 As you enter this open concept unit you immediately see the massive windows. 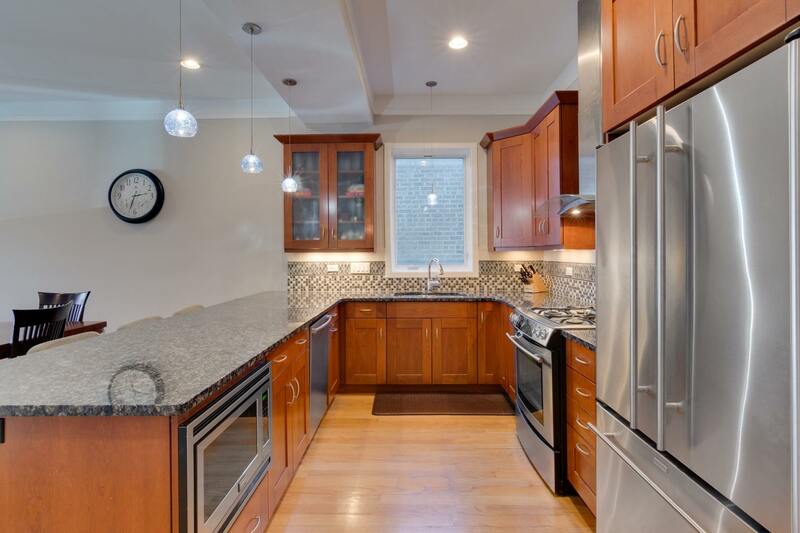 Your Kitchen has premium appliances including Bosch and Jenn-Air with stone counters and tons of workspace. 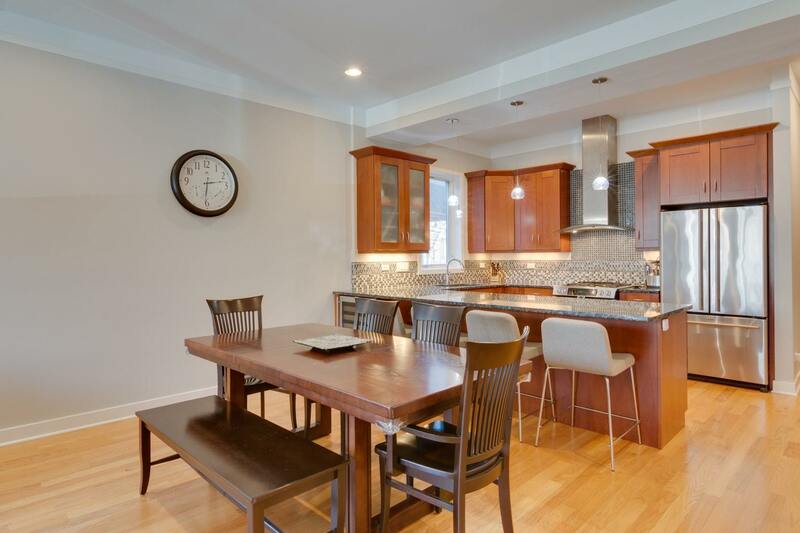 The 8&apos; island has 4+ bar stools and opens to the Separate dining space. 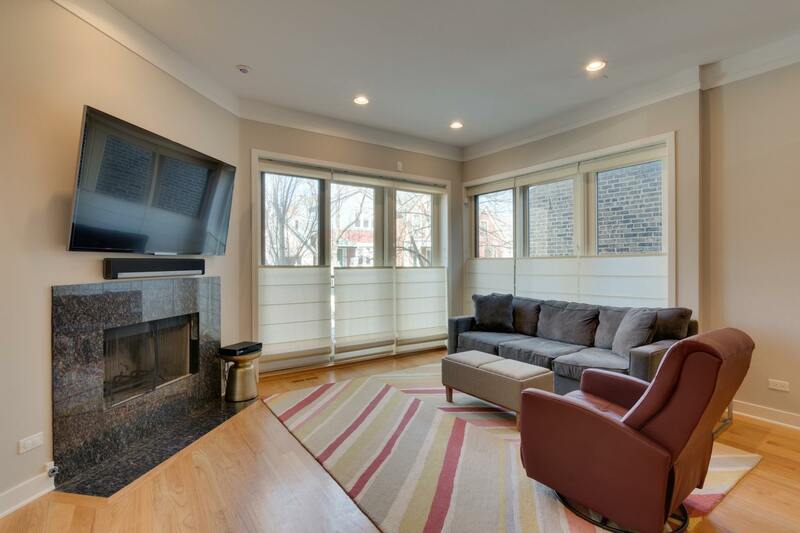 Formal living room with fireplace create a welcoming home. 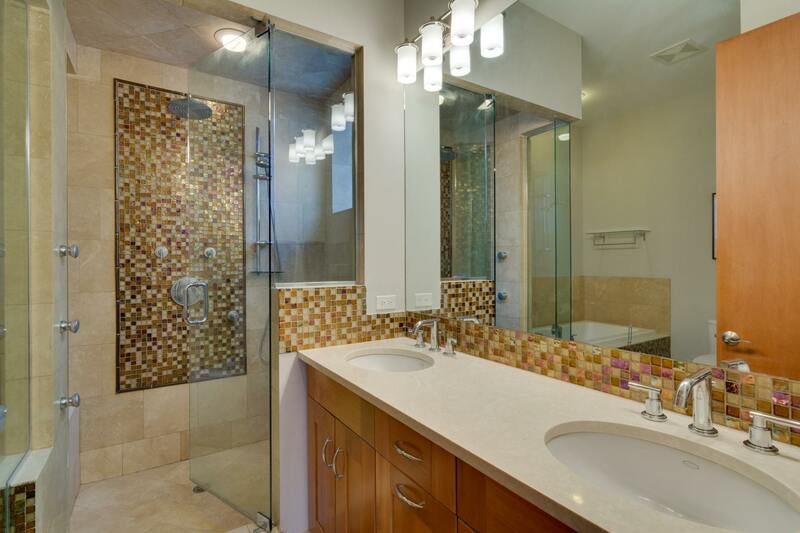 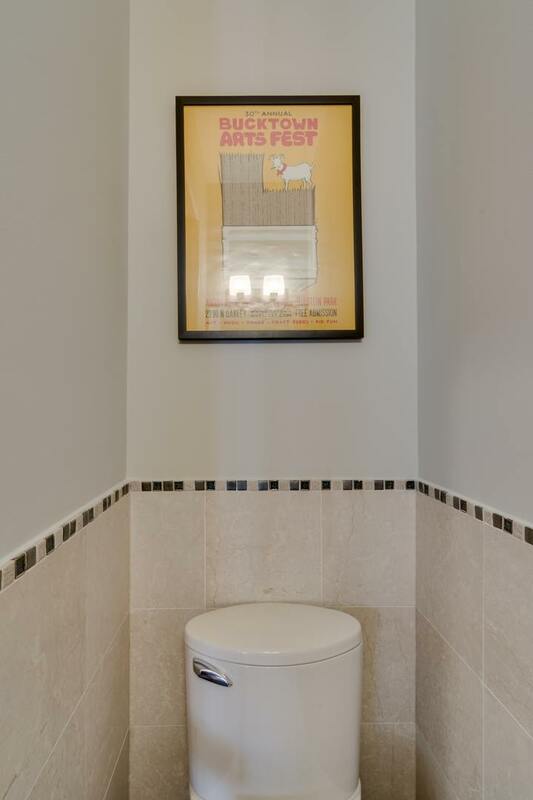 Tasteful 1/2 bath services this entertaining space. 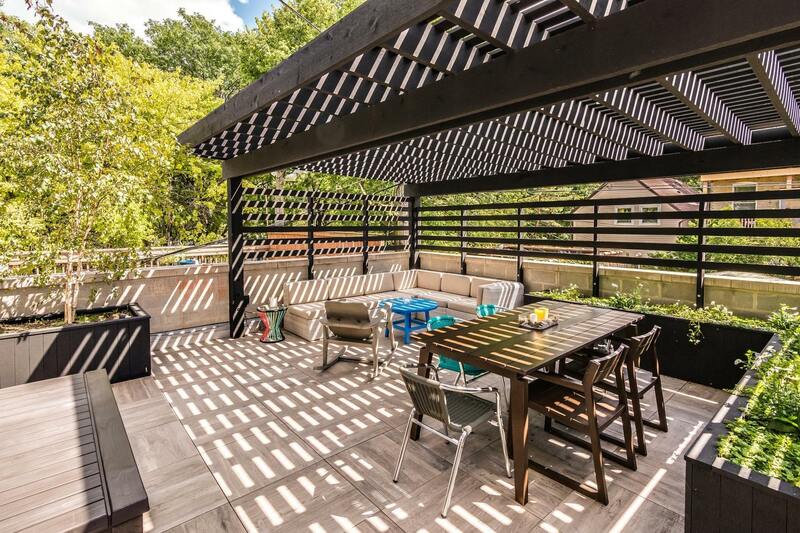 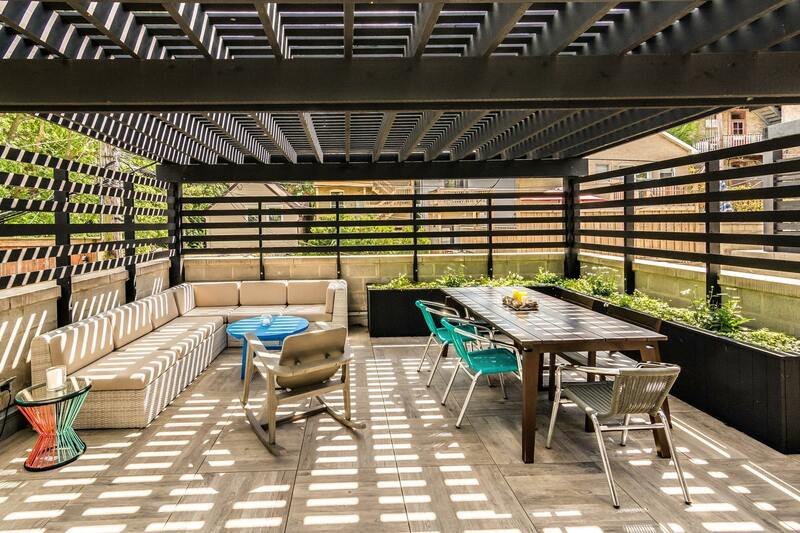 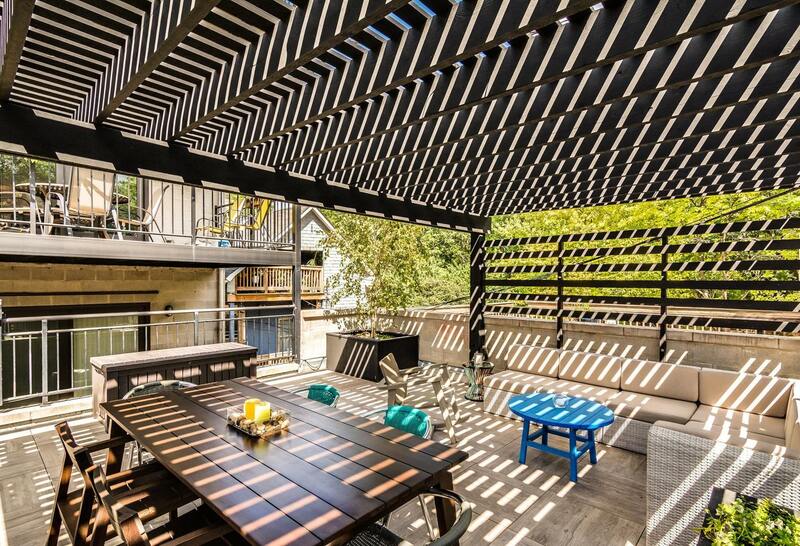 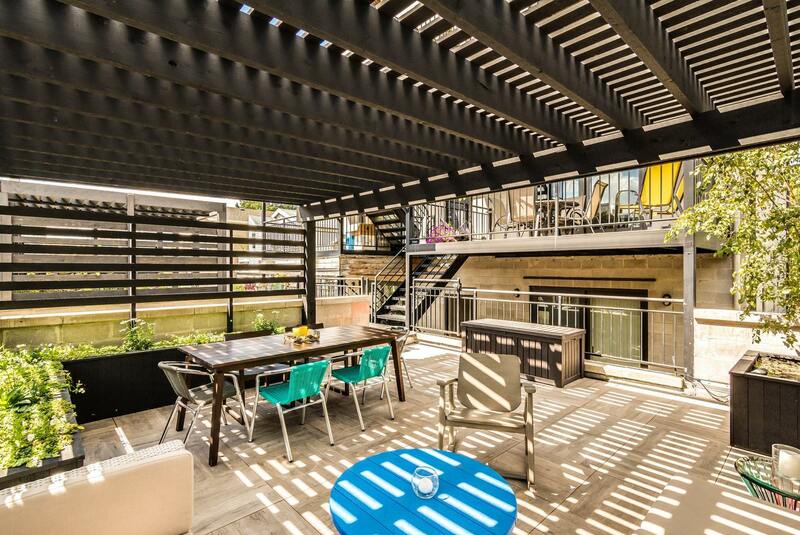 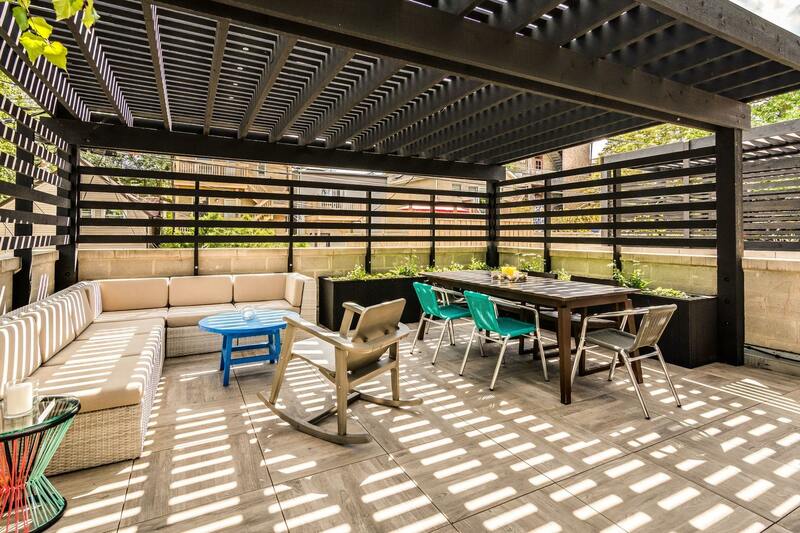 Truly amazing private deck on the garage, customized with trellis, planters and a great vibe. 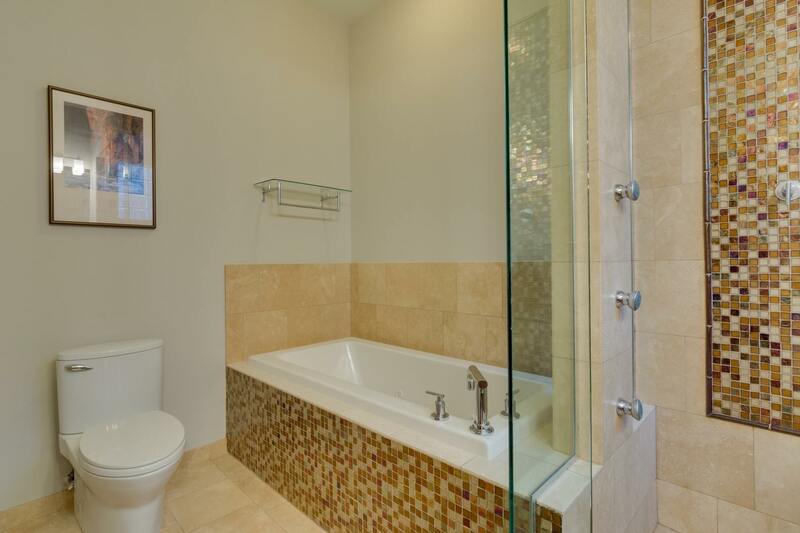 Main floor master bedroom - master bath is like a spa with Jetted tub, private steam shower and dual vanities. 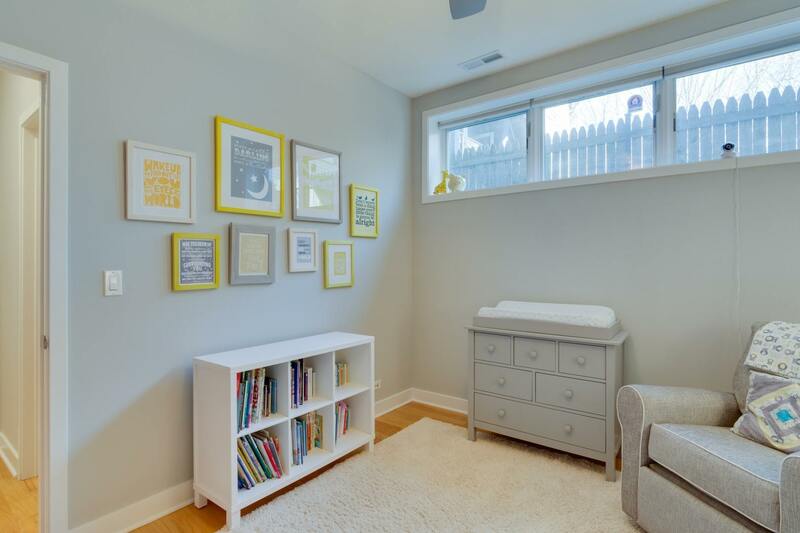 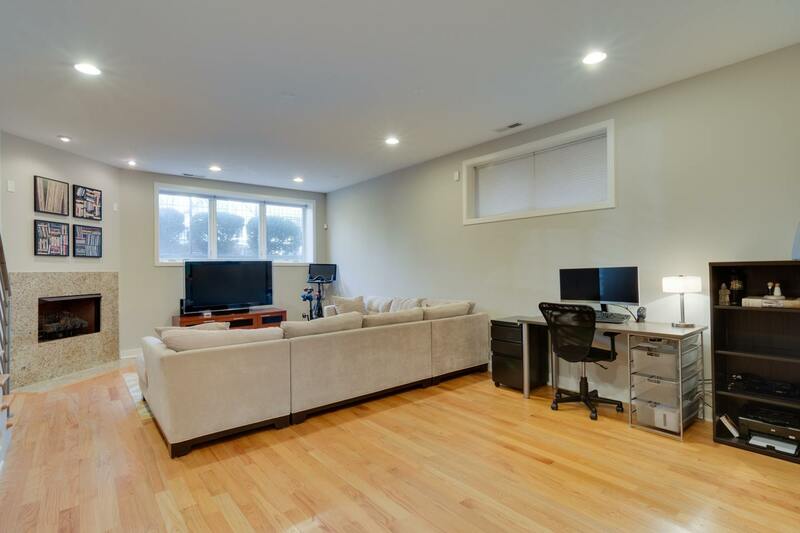 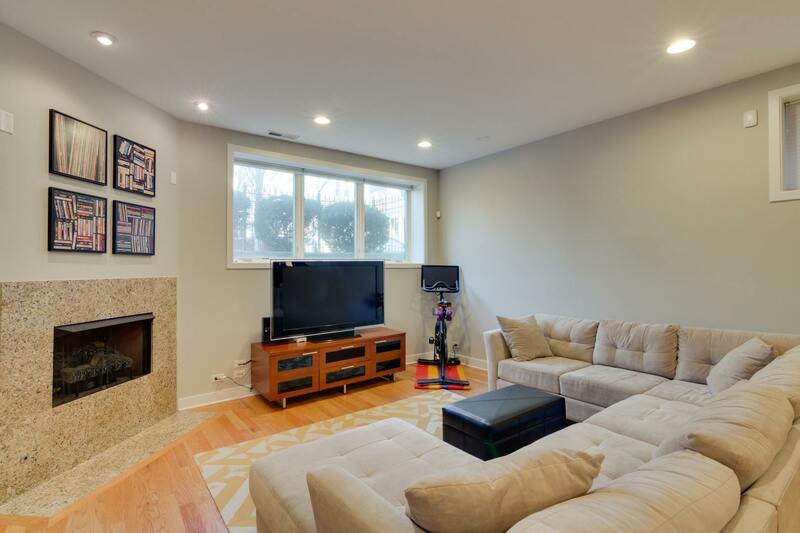 Lower level features awesome family room and 2 additional bedrooms. 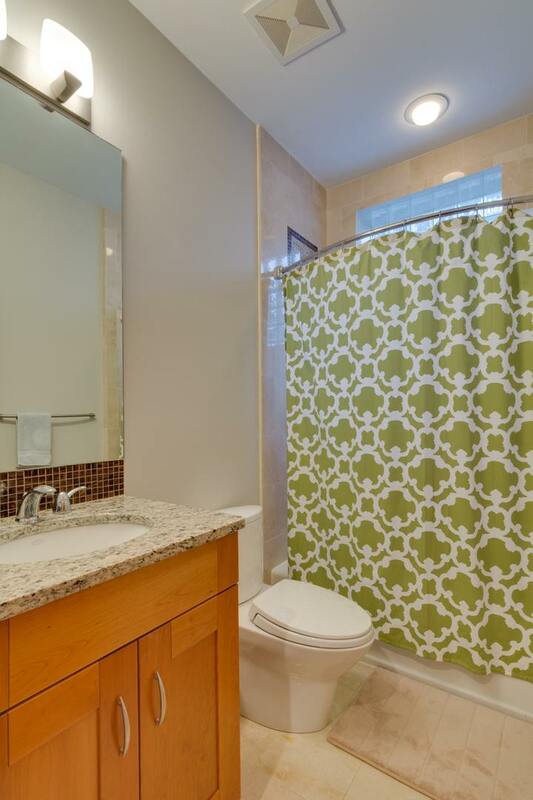 Common bathroom in lower level as well. 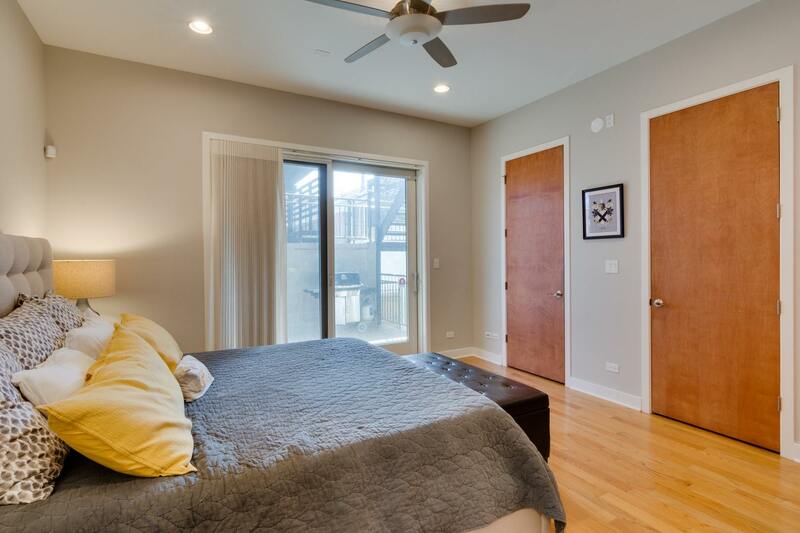 Garage parking, laundry in unit with central heat and AC.